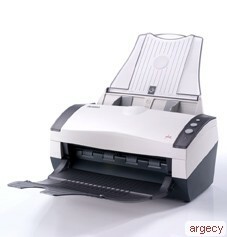 The AV210D2+ is one of our fastest scanners at 50 ppm scanned at a resolution of 300 dpi in color mode. Also featured is our ultrasonic multi-feed detection technology. The AV210D2+ delivers fast scan rates of 60 pages per minutes at 200 dpi color or 50 pages per minutes at 300 dpi color mode, providing a truly breathtaking digitalizing experience. AV210D2+ incorporates the latest TWAIN driver with new features and enhancement such as the ability to adjust sensitivity of dynamic threshold, document/photo color matching, custom color dropout, automatic multiple cropping, intelligent multi-feed, reduce despeckle, image count, digital imprinter, and transport timeout. We are committed to improving the TWAIN driver continuously to enrich your scanning experience as never before. The Avision AV210D2+ uses sound waves to detect multiple documents that go through the scanner at the same time. When multiple pages are fed, the scanner detects multi-feed and sends a warning message. This action ensures that all of your critical documents are imaged correctly without losing a single page.